Oh yeah! They have been great! Highly recommended. We needed a place to store our brand new travel trailer. The spots available were a good size and easy to access (good for newbies). The price was one of the more reasonable for the area. Staff was helpful, and accommodating. Not only was it the easiest space to rent, a quick email allowed me to cancel my storage space and received a confirmation response within an hour! You're not going to find this level of professional, courteous service anywhere in this area! Outstanding customer service! Clean, good lighting, & easy access. Susan is always willing to go the extra mile and help out. We rented from Susan at Falmouth Self Storage for two years and it was a great experience. Thanks for the extra effort and time you gave us to make sure our storage needs were met! Staff is great! Facilities are clean! Great people, great location, and great price. Would recommend to anyone, adjusted to our needs of operation. I would recommend this storage space. It is convenient and the staff is very nice and accommodating. No problems. It's very clean also. This storage space is clean! This is the second time I have had storage here and I would come back again. Staff is nice and accommodating. Susan is the best! She is friendly and provides excellent customer service. Great facility and staff!!! Would definitely recommend!! This has been the 4th time I've used Falmouth, I'd recommend them to everyone! I love working with Susan and have never had any issues. We were super happy with the whole experience. The unit was big and clean, and Susan could not have been any more kind to us. It was a great experience and if we ever need to store anything again, we will definately come back. I looked at several storage facilities in the Fredericksburg, VA area and chose Falmouth Self Storage as it was very clean and the security system was outstanding. Susan the manager was very helpful, nice and is an excellent manager. I would recommend this facility to everyone. Good interaction with staff, good facilities, no problems. I stored my belongings at Falmouth Self Storage for many years. Always courteous service and impeccable grounds maintenance. Highly recommend utilizing them. Thanks, Susan!! I was very pleased with my experience here. The best part was the onsite manager, Susan. She welcomes you with a smile and a kind word and a bubbly personality. The units are clean and the grounds are neatly kept and very nice. The prices are reasonable and the contract was simple and easy to understand. When I checked out of my unit Susan made it easy and I was on my way. I will certainly use this facility again in the future if I need one. Thanks so much. Great operation, with a professional and courteous staff! Most definitely would use again plus recommend to friends. The staff (Susan) was amazing, friendly and the facilities were always cleaned!!!! Staff wonderful, very clean facility and secure. Felt very comfortable with my storage of my car. Will continue to recommend this facility to all. I appreciated the manager's attention. It was a nice, safe facility to store our items as we moved. Had a unit for a couple months during a transition, very accessible and great staff. Great facility! Very clean and nice. And love Susan in the front office! very nice facilities and friendly staff. I will recommend this Business. Very clean secure and professionally run storage facility! Susan is awesome and very open to working with different situations. This is the second time i have rented a unit and I have nothing but great things to say. I refer all of my friends and family. Save time and money- GO HERE! Susan was great to work with. The gate was always accessible, our unit was monitored and there is a restroom outside for those unexpected times you're moving things in or out! I appreciated her pride in her work, her respect and communication with customers, and her professionalism. great service with extremely friendly staff. Great unit! Great staff! In an unrelated situation I had credit card fraud on my payment method on file. Rather than attempting to find ways to fine me for late fees, they proactively worked with me to get payment method changed. This made an already stressful life situation a lot less painful! Great facility. Clean, safe, conveniently located. Outstanding facility with a great staff. A great staff who keeps a close eye on the facility is what makes this self storage great. Perfect for my needs as a college student moving into a new apartment. Staff were able to answer any questions I had promptly, space was well taken care of, and accessible at convenient hours. Very simply the cleanest most well managed self storage facility of the many I have rented over the years. Thank you for your great services! Security of the complex is outstanding. The facility was always clean. I would highly recommend Falmouth Self Storage to anyone looking for a clean and secure area to store their belongings. Falmouth Self Storage was well Maintained and has wide access into the Facility for Moving Trucks and the price was reasonable. The Manager Susan was Awesome to work with. We highly recommend Falmouth Self Storage for all of your Storage Needs. Yes, I would definately recommend to friends and family. I've had a very pleasant experience with Falmouth Self Storage. Customer service is excellent. The storage facility is very clean, well lit and is secure. Hours are very convenient. I could not ask for anything more. It's great! Care and Maintenance of the property is outstanding. The units are clean and well taken care of! The price is good and the staff if friendly ans so helplful! Yes, very friendly great customer service. I've stored my items at this facility several times and it's Excellent! Manager is very pleasant and professional. Units are clean. Always a pleasure to do business here and if need be will gladly return. I had a very good experience at this storage facility. The owners were very helpful and understanding if there were issues that needed to be worked out. I would definitely recommend this place to anyone needing some temporary (or long term) storage. Falmouth Self Storage is a top notch facility. My daughter utilized FSS for about 18 months. The facility is clean, easily accessible and Susan is an excellent manager. We never had an issue with the storage itself or account management. When we were ready to vacate, Susan was of great assistance in closing the account. We used our unit to store furnishings while our house was on the market. Well worth every penny! Made the house a LOT less cluttered for showing. The staff at Falmouth Self Storage was fantastic. The process for getting in and out of the unit was great. I felt that our things were secure and we never had an issue getting to our things. The unit was also clean inside as well (no signs of bugs or water intrusion, etc.). I thought the discount payment for first month's rent was also great and the prices were fairt! Thanks so much! Great management , very clean facility , no hidden costs or surprises. One of the best storage facilities I have come across , and we have used many in the past for our business. Ms. Susan is managing the facility very well , always on sight and doing something to keep all in top shape . very clean and secure . Great location . We are currently leasing 2 spaces , reasonable prices. Susan Bortz is excellent. She is extremely professional, knowledgeable and caring to the customer’s needs. From the initial rental of the unit to move out, she was a pleasure to meet and helpful at all times. The facility is clean, safe and efficiently managed. I would definitely recommend Falmouth Self Storage. We had a great experience. It was a week after college ended and we were late to find storage. The owner was wonderful and helped us to locate the perfect size unit for our needs. She was incrediby helpful. We found the unit clean and easy to access. The security was reassuring. I would use them again and would recommend them. Excellent storage facility. The staff are courteous and professional. Easy access to my stuff. Very clean and well maintained! Highly recommended. We deal with many storages around the country, but this facility managed By Ms. Susan Bortz at 80 Samson Street Fredericksburg, VA 22405 is highly recommended. Not only that it is a clean and safe facility. The stuff is very friendly and professional . They are always helpful, and as long as we will keep doing business in VA area, this facility will be used for our storage purposes. Thank you! We are looking forward to keep using your facility and will highly recommend you. I have personally rented from Falmouth Self Storage for years and they have always been helpful, pleasant and accommodating. The owners of the business have also donated a storage unit to store suitcases that I have gathered to give to regional foster children. They have helped tremendously in helping our most needy children. Thank you Falmouth Self Storage! I have been with Falmouth Self storage for about 5 years now and can report feeling a total sense of security having my cherished posessions here. The facility is immaculet and my things have been preserved perfectly as though in my own home. Susan is a total professional and someone whom I consider a friend! What a wonderful facility! I was quite nervous about entrusting my belongings to a storage unit, but I am so happy that I chose Falmouth Self Storage as the best place to house them. Sue helped me to pick the perfectly sized climate controlled space for my needs, and has always been a blessing to me. Gracious, friendly, and knowledgeable service, clean and secure buildings. I would trust no one else. When looking for a climate controlled storage solution, I contacted several facilities in the Fredericksburg, VA area. The manager at Falmouth Storage was the most accommodating, knowledgeable, and friendly over all the rest. When I visited the facility, I found the layout of the facility is fabulous. There are no dead end 'roads'. The isles are wide enough to have cars parked on both sides and still permit traffic to pass. The layout allows semi-tractor trailers and automobile with trailers to navigate easily. I put a humidity/temperature monitoring device in my unit and the humidity varies by no more than 5%, and the temperature varies by no more than 4 degrees F. for the whole time I have had a unit. I definitely recommend Falmouth Self Storage. After 10 years of renting a large storage unit here, we are very pleased with the overall facility and the management team that has always been there for us. We have referred many of our friends who needed a quality facility to store their possessions on a short or long-term basis. We highly recommend this facility! I had been to no less than 15 other storage businesses in the Fredericksburg area. I can say without qualification that Falmouth Storage is the cleanest, most secure, and most accessible of all of the businesses that I saw. The staff is unbelievably knowledgable, incredibly friendly, and accommodating beyond anything I expected, going above and beyond at every turn. What could have been a nightmarish move turned into a pleasant experience thanks to the professional folks at Falmouth storage. Really! 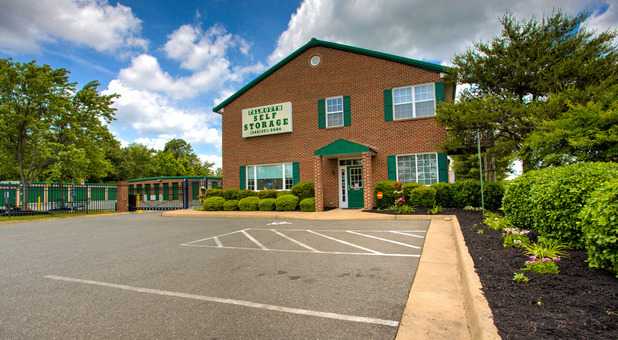 The best self storage in the Fredericksburg area, clean and well maintain. The staff are excellent people. I needed a place quickly that was climate controlled. The staff at Falmouth Self Storage was extremely helpful and I feel like my things are safe. I would highly recommend this location. Clean facility and super friendly staff. I will not rent another self storage unit anywhere else. Thank you!